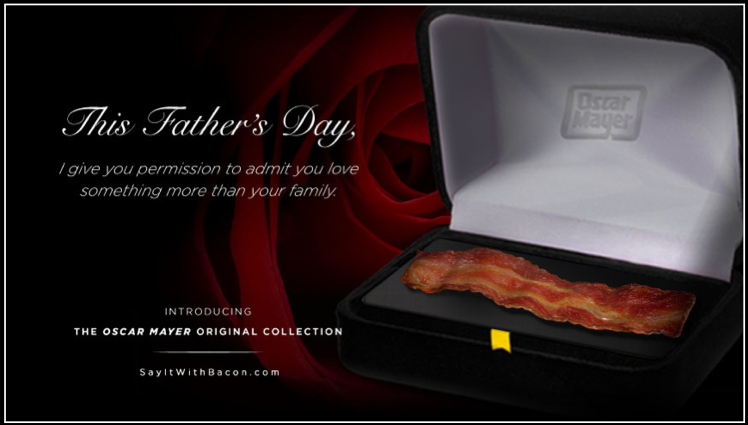 For Father's Day, we showcased Oscar Mayer's Original Bacon's four Cs (cut, color, cure, and consistency) through video spots, shareable e-cards, and three actual bacon gifts perfect for your loved one. The gifts went on sale at random times, announced exclusively on Twitter, and sold out within minutes everyday for four weeks. 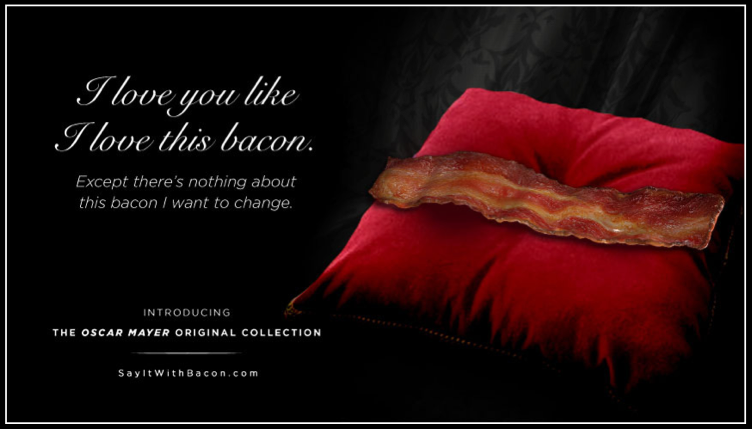 In addition to the announcement video, SayItWIthBacon.com featured descriptions of each gift set, the four Cs of bacon, and shareable e-cards for bacon-loving snoozers who missed out on the Twitter announcements and still wanted something to share with their loved ones.